SUPPLY WHOLESALE AND RETAIL CLIENTELE WITH NECESSARY OBJECTS! Do some Networking with your friends asking them what OBJECT THEY MOST NEED and do not have and you will come up with a dozen, brilliant ideas for things never seen, never done.Do some INVENTING yourself!. 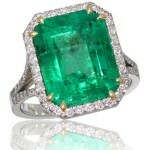 Lesse, things I'd love to have: big flashy rings with a glass or crystal that looks like a big Colombian EMERALD. For under twenty bucks. FREE GARDEN WATER SYSTEM - I'd like to be able to drain my used bath tub water out the bathroom window and into the rose garden with a handy syphon system. I can't get my old garden hose to do it. Even if I HOLD it to the faucet, fill the hose with water, then LAY it in the tubwater. Nothing goes out at the garden end and it's seriously LOWER than the tub. I invented the Light your Way to success lamp that is bulletin board, table lamp. My chic rich astrology client says I WANT a "PURSE MIRROR." I'm looking everywhere and I cannot find any. I instantly in my mind designed several: A cheap version in Copper or Tin from India/ Mexico. Gilt wood from Europe. Gemmed papier mache from India. "3x4" A Silver mirror from Taxco Mexico, semi precious stones. I'd include a cotton carry envelope so you won't scratch glasses/ compact/ lipstick against it. Make a list of stuff people really want and will pay for and supply it cheaper than anywhere else. Anyone asks me what I want, it's a cotton flannel nightie with no seams that scratch the body on the inside. RARE. Lanz stores used to make them. NOWADAYS nobody does. I usually wear flannel nighties inside out so as not to get the SEAMS but lately they put a frill of itchy lace over the chest, so one can't do it! POOR PEOPLE NEVER HAVE POSH HEADBOARDS. How can that be? With a staple gun and some hotglue you can take padding pulled out of throwaway pillows, some discount extra wide fabric textile & make HEADBOARDS. There is nobody who doesn't need a double, queen or King headboard for some bedroom in the house. Guess what? There are all kinds of ratty, old headboards lying in alleys. Collect them. "COVER' them. Three sizes suit most all. So advertise 'CUSTOM HEADBOARDS,' We make your headboard concept! Our POSTER is ANITA SANDS HERNANDEZ, Los Angeles Writer, ombudsman, Futurist and Astrologer to Yogi Bhajan for 35 years. Catch up with her websites TRUTHS GOV WILL HIDE & NEVER TELL YOU, also The FUTURE, WHAT'S COMIN' AT YA! FRUGAL LIFE STYLE TIPS, HOW TO SURVIVE the COMING GREAT DEPRESSION, and Secrets of Nature, HOLISTIC, AFFORDABLE HEALING. Also ARTISANRY FOR EXPORT, EARN EUROS....* Anita is at astrology@earthlink.net ). Get a 15$ natal horoscope "my money/future life" reading now + copy horoscope as a Gif file graphic! No smarter, more accurate career reading out there! PS. Anita sez, 'get a website for 5$ a month and post articles that YOU LIKE, TOO! Be someone who forwards the action, the evolution. IT IS getting better you know and by getting WORSE FIRST, it gets better!